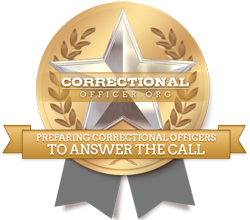 CorrectionalOfficer.org chose Rio Salado College as its number one pick for U.S. schools Preparing Correctional Officers to Answer the Call top 50 list for 2015. 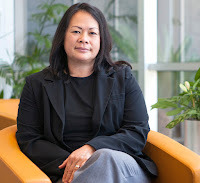 “We are honored to be recognized for our efforts to provide flexible and affordable higher education options in the corrections field,” said Rio Salado Public Safety and Paralegal Faculty Chair Angela Kwan, who plays a key role in the development of the college’s Law Enforcement Technology programs. Kwan said the corrections industry, like other industries, is facing challenges with recruitment and retention of qualified personnel. The competition with other criminal justice fields such as law enforcement or private security make the challenge even greater. “Rio Salado is committed to helping the corrections industry meet the demands of finding qualified employees, the success of its Basic Corrections program and ultimately, degree completion for all students,” said Kwan. The college is doing that in great part through its Academy Based Partnerships program. 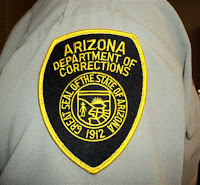 Among its leading partners is the Arizona Department of Corrections (DOC). The DOC educational service partnership has helped more than 13,000 employees earn a certificate of completion in Law Enforcement Technology Basic Corrections. DOC Basic Corrections students receive on-the-job instruction and earn 21 college credits upon completion of the program, which they can apply toward an Associate in Applied Science (AAS) in Corrections degree. Rio Salado has an appointed staff member called a “navigator” to further assist corrections officers in reaching that goal. The DOC is one of several U.S. law enforcement agencies that work with Rio Salado to provide similar educational opportunities for employees. Rio Salado offers several certificate-to-degree pathway programs in the criminal justice field and credit-for-prior learning opportunities for graduates from authorized academies, law enforcement officers and former officers to earn a Certificate of Completion in Law Enforcement Technology. For more information, visit www.riosalado.edu/programs/law_enforcement or call 480-517-8580. CorrectionalOfficer.org based its choice on published surveys from government sources such as the Integrated Postsecondary Education Data System (2013) and National Center for Education Statistics. Other factors included the types of programs colleges offered and the percentage of student graduates in the field of corrections compared to the total number of graduates for each college.